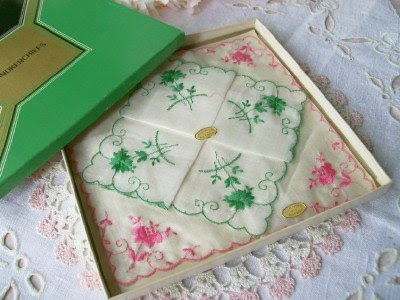 Two unused hankies (one pink, of course) from Austria. This is my favorite find! A pink cameo! Just the right amount of pink on an old cake plate. 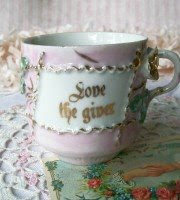 And this "Love the Giver" moustache cup with it's sentiment is perfectly shabby pink! For more pinks go visit Beverly at How Sweet the Sound....she hosts this every Saturday! 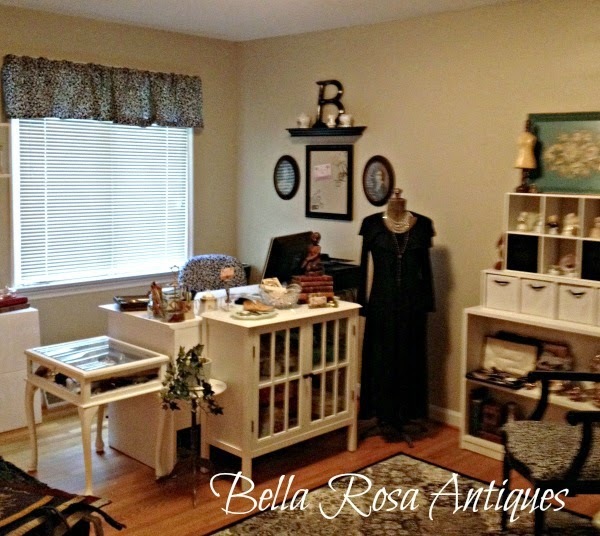 I'm swooning over here at all your lovely treasures! I love the cake plate...GORGEOUS! Good afternoon gf*! I hope your afternoon has been as relaxing as mine.....oops, wait a minute...Maybe I should have said, as boring as mine, and actually, I hope yours was more exciting*! Thanks for stopping by. A visit from you always puts a smile on my face, and I love keeping up with you on twitter. Hey, are you on Facebook*? I've started getting a little more into that these days. Oh your Pinks are to die for!!! Your pinks are wonderful; especially the pink cameo! Love it! Happy Pink Saturday to you. 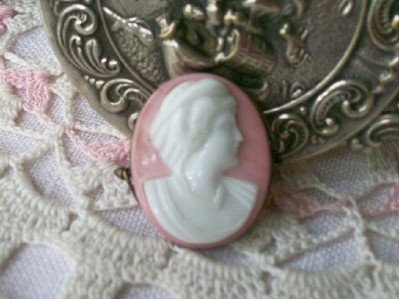 I love the pink Cameo!!! 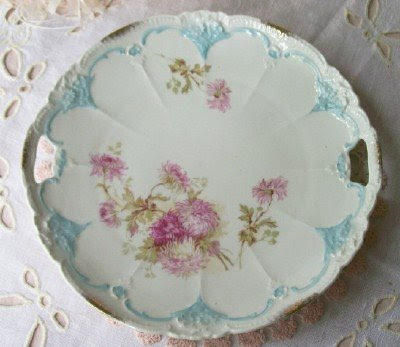 Hi Jillian, I have the same pattern as your little cake plate - mine is a small bread and butter plate. Isn't it lovely? Happy Pink Saturday! 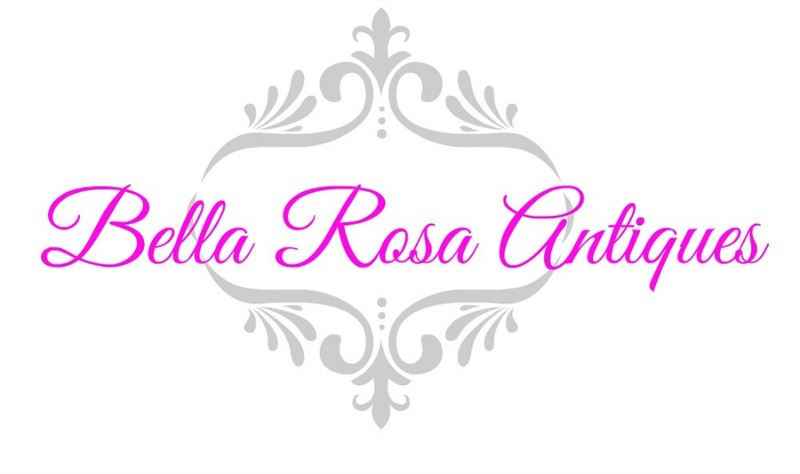 i love all your pink treasures!!!! Happy PS, Jillian! So many lovely pinks! 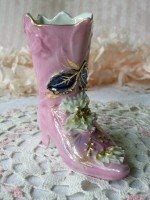 I especially love the pink boot and the lovely cake plate! Thanks also for the wonderful extras!! !